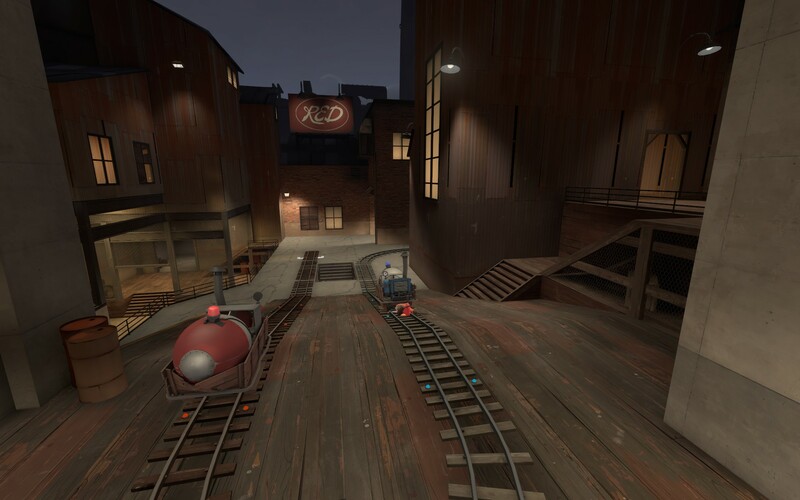 CTF_cottian_peak (formerly ctf_pikes_peak) is a ctf map by the same creator of PL_island and CTF_Blimp with a bit of a twist. You have to push your intel into their base to destroy key areas. Everyone know's that we at Fester's love push maps (especially Avanti) and this looks like it'll be an outright winner. It's a large map that suits 32 players and has some interesting ways around the map to out fox the defending Red team. It's still in beta at the moment but is well worth taking a look at. You can find more information on our forums. The map has had it first outing on Festers and received some nice comments. Nice work Mildly. It looks like it could be a nice all round round.